Many home owners like the thought of an online service but are worried about dealing with a faceless call centre hundreds of miles away or possibly never get to speak to a human being at all. They then have a valuation and find that the ‘local’ property expert who calls to see them actually is not very local at all and might live the other side of the county. 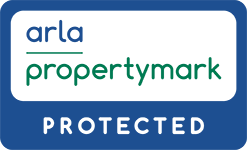 At Bloore King and Kavanagh we only offer this service in our own area therefore our vendors will have the comfort and knowledge that we are truly local property experts and their home is in safe hands. In these days of new technology, internet and virtual reality, property is bought and sold at the click of a mouse and the face of estate agency is changing. With our online service option you will have access to the knowledge and experience of our fully trained and qualified staff all the way from the valuation of your home to the building of the brochure to accepting of the offer. 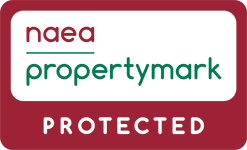 Our online package is designed to offer the maximum exposure to the market using the most up to date online marketing tools available but at a reduced cost of a full estate agency service. Your home will be advertised on the top property portals such as Rightmove, OntheMarket, facebook and Bloorekingkav.co.uk. Website advertising on Rightmove, on the market, Facebook and our own website bloorekingkav.co.uk. Telephone calls, viewing arrangements and offer negotiation all conducted by our sales team. Unlimited brochures supplied and distributed to potential buyers. A highly visible Bloore King & Kavanagh for sale board will be placed outside your property. Our sales progressor will be on hand to provide you with a smooth transition from offer all the way to completion.